Who would’ve thought pink could be so taxing. It’s no secret that women are often charged more than men for essentials such as clothing and toiletries, just for the pink staple or the floral scent. 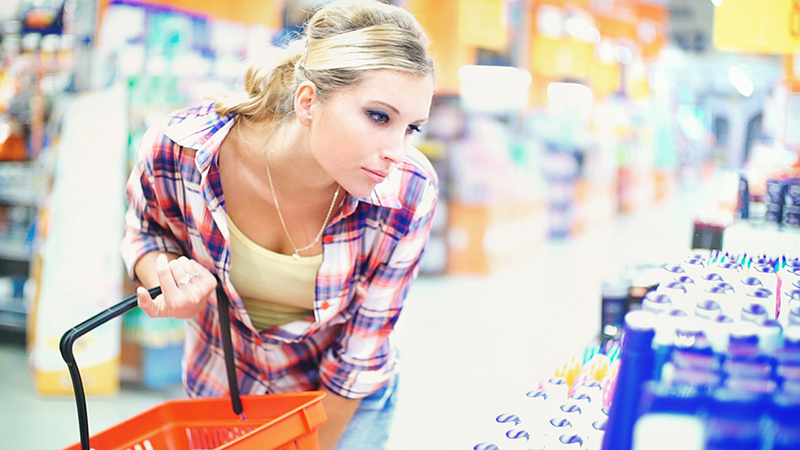 However, research carried out by showerstoyou.co.uk has discovered a huge gap in the cost of a basic holiday shop between men and women, revealing the true extent of the “pink tax”. They surveyed 754 women and 623 men, discovering that for a basic summer holiday shop, women are charged 21% more than men due to the “pink tax”. 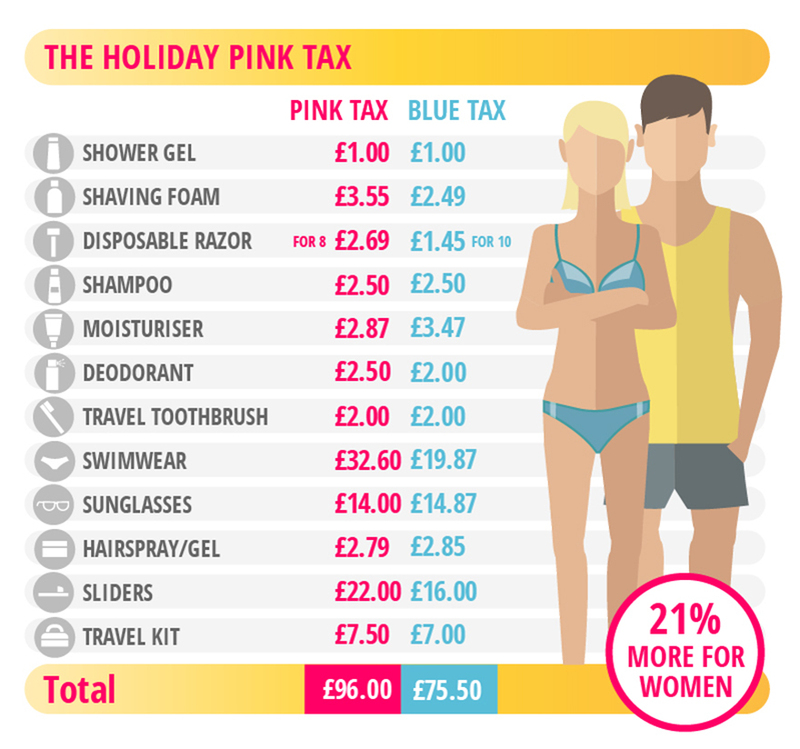 The graphic designed by showerstoyou.co.uk highlights the gap between the regular “pink tax” and the “blue tax”. Basic holiday clothing items were added to this list to form the “holiday pink tax”. 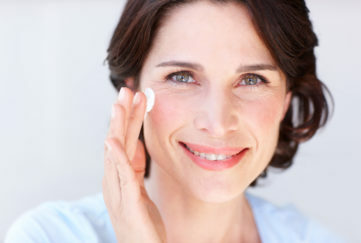 On basic toiletries, women spend £27.40, whilst men spend £24.76. For swimwear alone, women on average spend a shocking £38.19 more than men when buying on average three swimsuits. Female razors are often described as a luxury product. Just eight female razors cost £2.69, whereas a greater sized packet of ten razors cost £1.45 – a 60% difference. For the same disposable razor brand, which were identically manufactured, women are forced to spend 60% more than men. Stella Creasy, Labour MP, highlights the reasoning behind the marked price difference in “male” and “female” razors could be due to the fact that “female” razors are perceived as less of a necessity. This argument also accounts for the zero-tax rate of male razors, and explains the concerning inequality in shaving foam prices. While this issue has recently come to light, positive changes have been made – with Tesco slashing their razor prices to be gender neutral earlier this year. Martin Smith, the MD of showerstoyou.co.uk, says, “The claim that men needing to shave is a necessity as opposed to women is ludicrous. The way products are marketed these days has gotten out of hand. The only difference in the two disposable razors seems to be the colour. “What is more, is that there is a zero-tax rate in the UK regarding male razors, yet there is still a tampon tax.